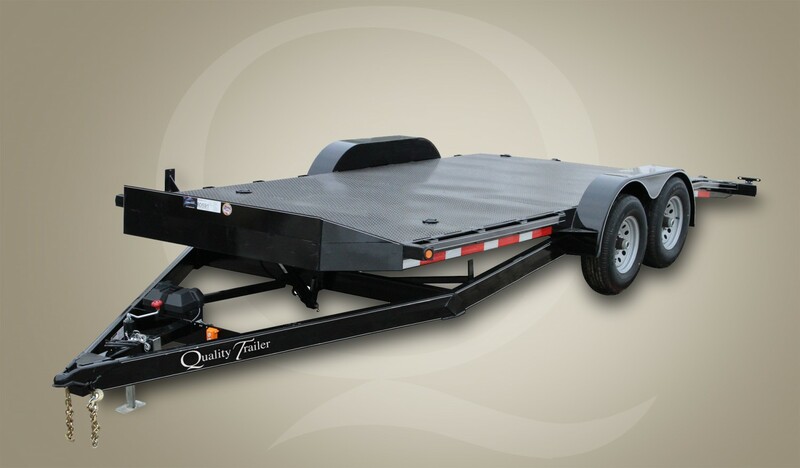 Quality’s Power Tilt Car Trailer lets you load your car without using loading ramps. These trailers are built with an all tubing frame and tongue. The hydraulic system is fully self contained and is power up and down for smooth action. This series is only offered in our Professional Grade. All our best features are included, such as a U.S. made sealed modular wiring harness with lifetime LED lights, radial tires, etc.